This remarkable and daringly original book proposes a new way of thinking about the Greeks and their myths in the age of the great Homeric hymns. 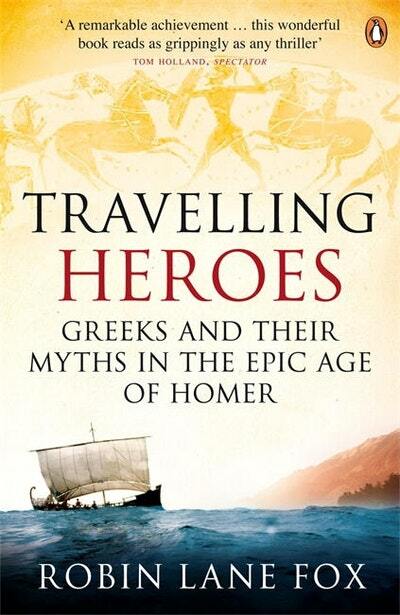 It combines a lifetime's familiarity with Greek literature and history with the latest archeological discoveries and the author's own journeys to the main sites in the story to describe how particular Greeks of the eighth century BC travelled east and west around the Mediterranean, and how their extraordinary journeys shaped their ideas of their gods and heroes. It gathers together stories and echoes from many different ancient cultures, not just the Greek - Assyria, Egypt, the Phoenician traders - and ranges from Mesopotamia to the Rio Tinto at Huelva in modern Portugal. Its central point is the Jebel Aqra, the great mountain on the north Syrian coast which Robin Lane Fox dubs 'the southern Olympus', and around which much of the action of the book turns. Robin Lane Fox rejects the fashionable view of Homer and his near-contemporary Hesiod as poets who owed a direct debt to texts and poems from the near East, and by following the trail of the Greek travellers shows that they were, rather, in debt to their own countrymen. With characteristic flair he reveals how these travellers, progenitors of tales which have inspired writers and historians for thousands of years, understood the world before the beginnings of philosophy and western thought. %%%This remarkable and daringly original book proposes a new way of thinking about the Greeks and their myths in the age of the great Homeric hymns. It combines a lifetime's familiarity with Greek literature and history with the latest archeological discoveries and the author's own journeys to the main sites in the story to describe how particular Greeks of the eighth century BC travelled east and west around the Mediterranean, and how their extraordinary journeys shaped their ideas of their gods and heroes. It gathers together stories and echoes from many different ancient cultures, not just the Greek - Assyria, Egypt, the Phoenician traders - and ranges from Mesopotamia to the Rio Tinto at Huelva in modern Portugal. Its central point is the Jebel Aqra, the great mountain on the north Syrian coast which Robin Lane Fox dubs 'the southern Olympus', and around which much of the action of the book turns. 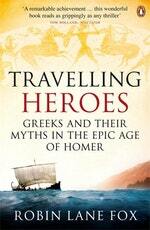 Love Travelling Heroes? Subscribe to Read More to find out about similar books.